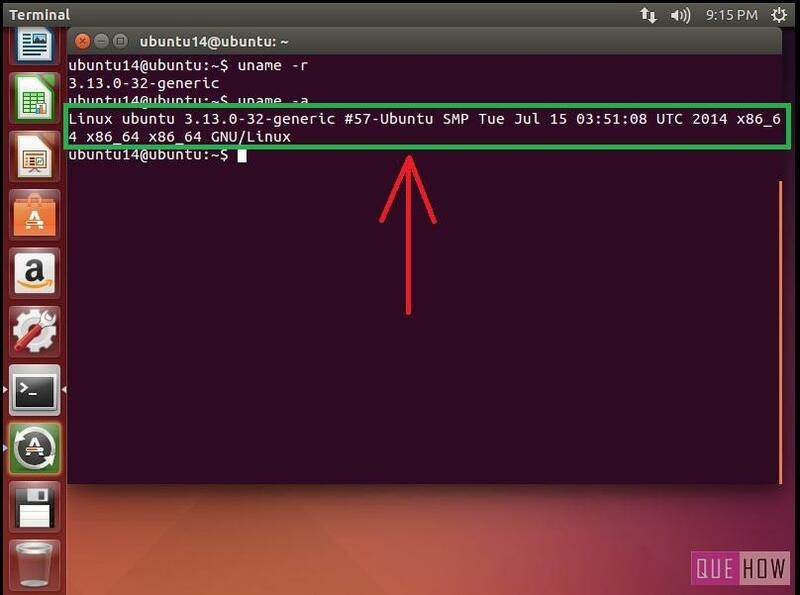 The kernel is the core module of the Linux system, in my case it is the Ubuntu 14.04 LTS i.e. Long Time support. It is the kernel which interacts with the hardware in your system. 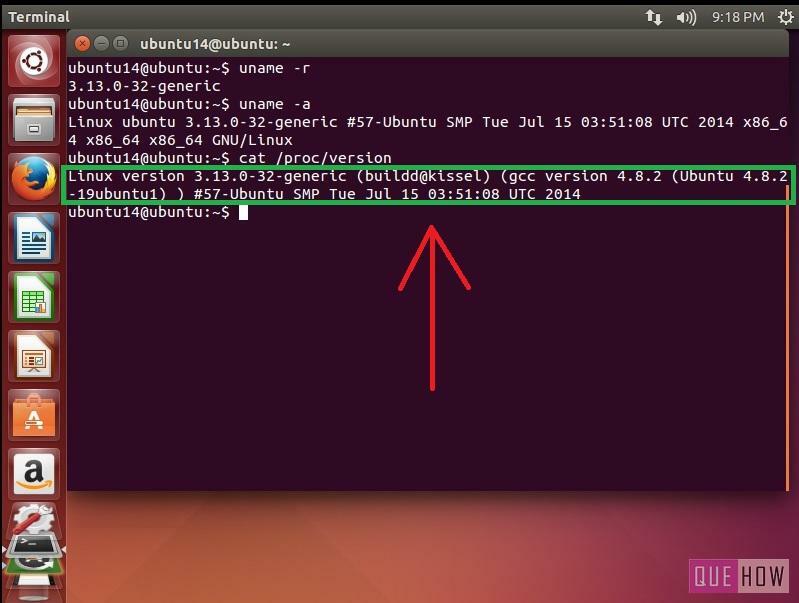 Sometimes you need to know what is the kernel version in your Ubuntu system. There can be any reason behind this, it may be to gain the information in general or may be in a need to install the software. For the purpose of installing a new software, you may realize to check for the kernel version, so you may install only that software which would be supportive or run properly in that particular kernel. 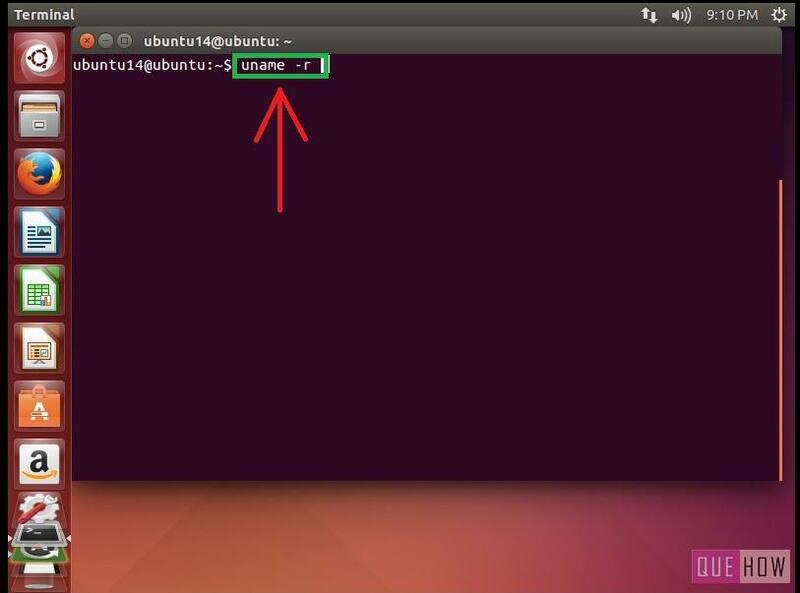 Here, is the tutorial to find out how to check Ubuntu kernel version, I have explained different ways to do so, one of the ways is using the Terminal in Ubuntu.You need to follow each and every step properly, let’s start with it. Step 1: Write a command “uname -r” in the terminal window, where uname is used to find the information about the system and ‘r’ stands for the released version. 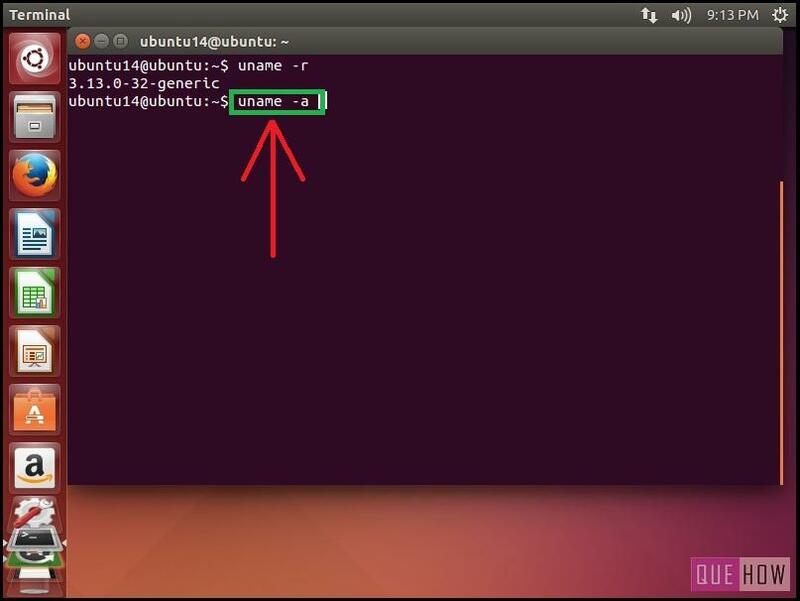 Step 3: If you are interested to know about your kernel version as well as the hardware, then you must write a single command which is “uname -a” where ‘a’ stand for all. 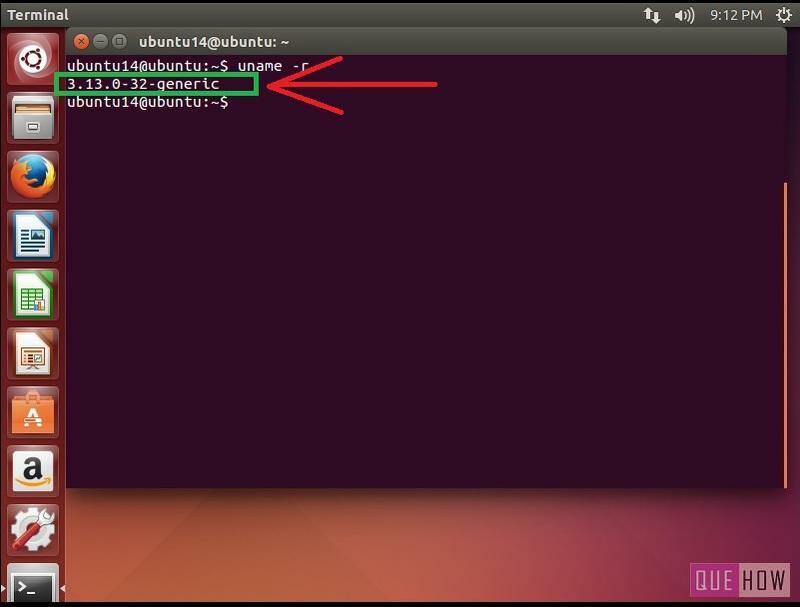 Step 4: Output related to the previous command is shown in the figure below. But it may vary according to the version of software that you have. You may notice “x86_64” in the figure, that describes about the operating system, where x86_64 means 64 bit Operating System and i686 means 32 bit Operating System. Step 5: There is one more command through which one additional information will appear. We’ll discuss it in the next step, for that just type “cat /proc/version”. ‘Proc’ is a process information pseudo filesystem, you can use this for various purposes to gather the data related to the kernel, as it is associated with the kernel data structure. 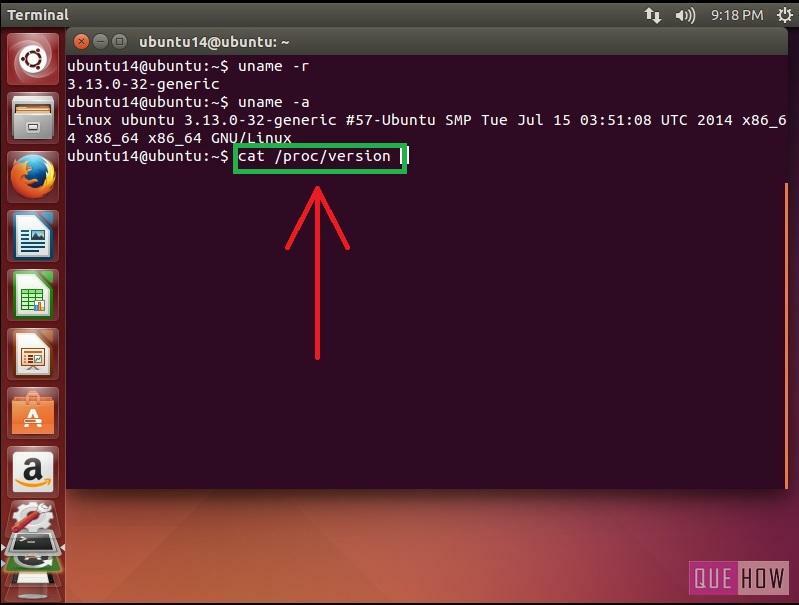 Step 6: The “cat /proc/version” shows all the information about the kernel version, such as its name and the compiler version. In the output, you will see gcc version. For an example, “gcc version 4.8.2”, here “gcc” is the GNU Compiler collection and “4.8.2” is its version. You may be thinking what is GCC? The GCC is a compiler, previously designed for the “C Language” but with its enhancement now it is also used for the Unix like environment systems such as Linux.